The global polio community is committed to ensuring that all countries currently using oral polio vaccination (OPV) add at least one dose of inactivated polio vaccination (IPV) to their immunization schedules. Globally, communication efforts have been at the forefront of polio eradication programs for more than 25 years. 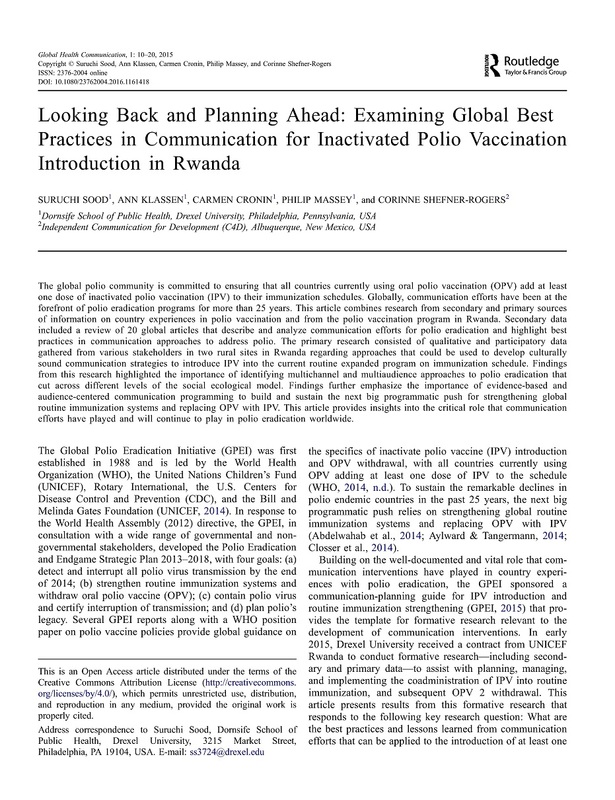 This article combines research from secondary and primary sources of information on country experiences in polio vaccination and from the polio vaccination program in Rwanda, and provides insights into the critical role that communication efforts have played and will continue to play in polio eradication worldwide.